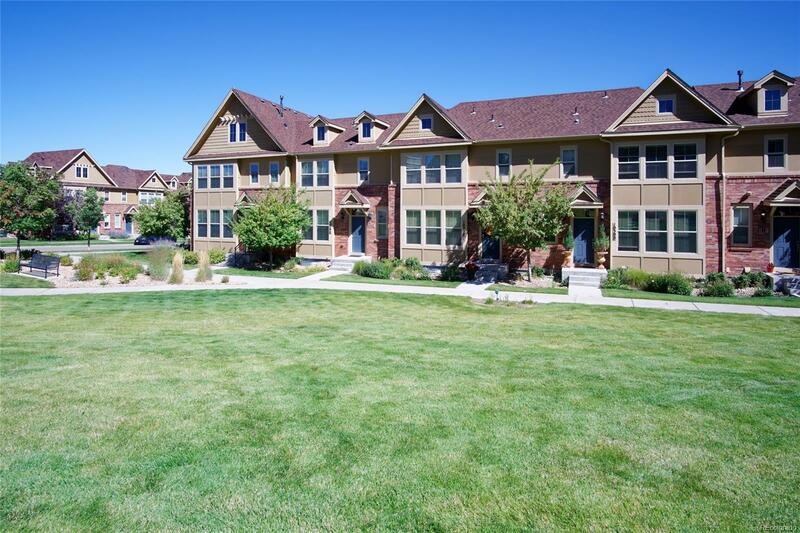 Beautiful Two Story Townhome in coveted Ridgegate area of Lone Tree. This near-new townhome sits on a park and has a private enclosed courtyard and a full basement. The gourmet kitchen, featuring stainless steel appliances and granite counters, opens to the dining area and great room. The entire main level has beautiful hardwood floors. The upper level has a front load washer/dryer and two master suites with walk-in closets. Two-car garage with openers. Located minutes from Park Meadows and light rail. Walk to shopping, restaurants, Lone Tree Rec Center and Arts Center, Sky Ridge Med Center and hiking/biking trails.